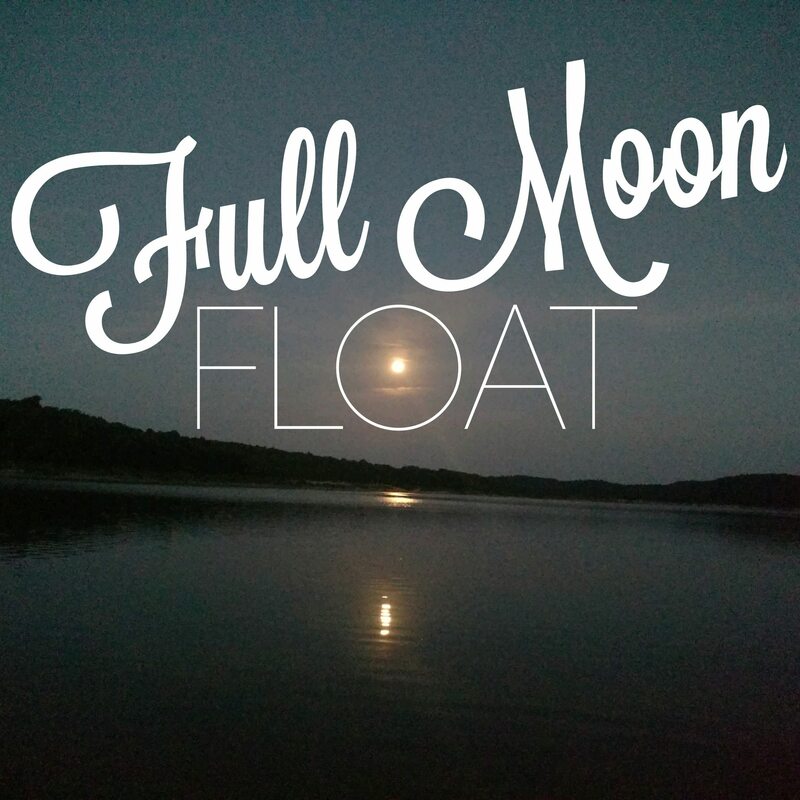 The August Full Moon Float is one of our most popular events! The Full Sturgeon Moon, named for the time of year when "the sturgeon of the Great Lakes... were most readily caught" is always a blast. Since we don't have any Sturgeon to catch at Bull Shoals, we came up with a new way to celebrate this incredible fish! Sturgeon are known for their distinct markings, so we bust out the Body Paint and get creative! Glow in the dark and UV paints combined with bright colors and tribal designs make this night one to remember! We paddle out to watch the sunset from the water and drift away as the moon rises. Then, paddle over to K Dock Marina for LIVE MUSIC and treats, delivered right to you on your board. You'll love this magical evening on the lake! Rent a Stand Up Paddle Board from us for $30 for the full event. We'll provide an informative tutorial and all equipment needed for a safe and fun evening on the water. You can also BYOBoard or Kayak for $5 and we'll be there to help you get on the water and keep you entertained all night. All participants must bring a headlamp or LED light for safety. If you are providing your own equipment, we ask that you also bring a PFD.